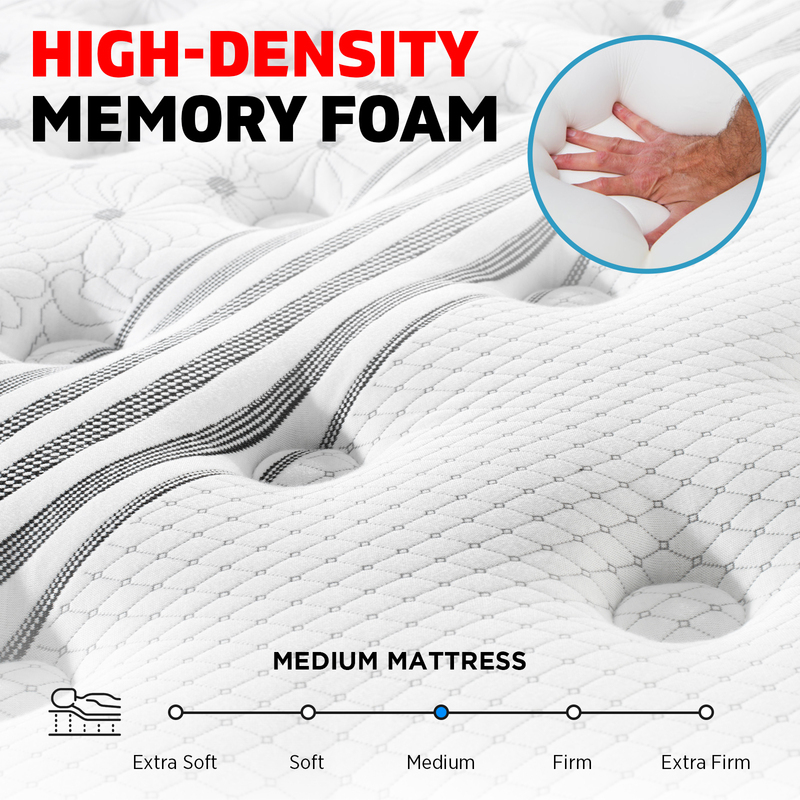 Is your mattress underperforming? Do you suffer from chronic back and neck pain? 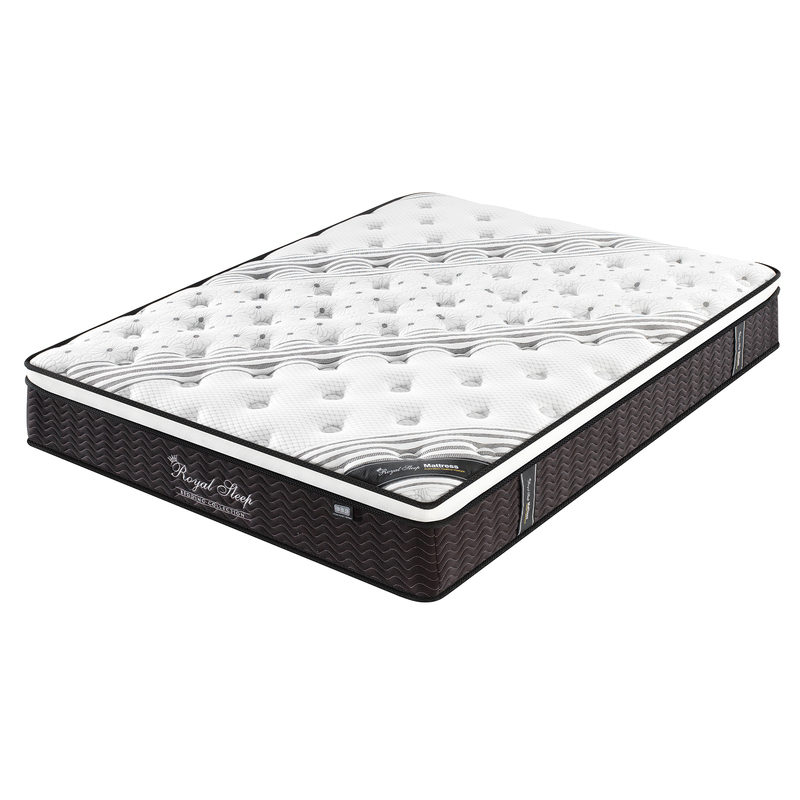 Switch to the Royal Sleep springform 33cm mattress today. 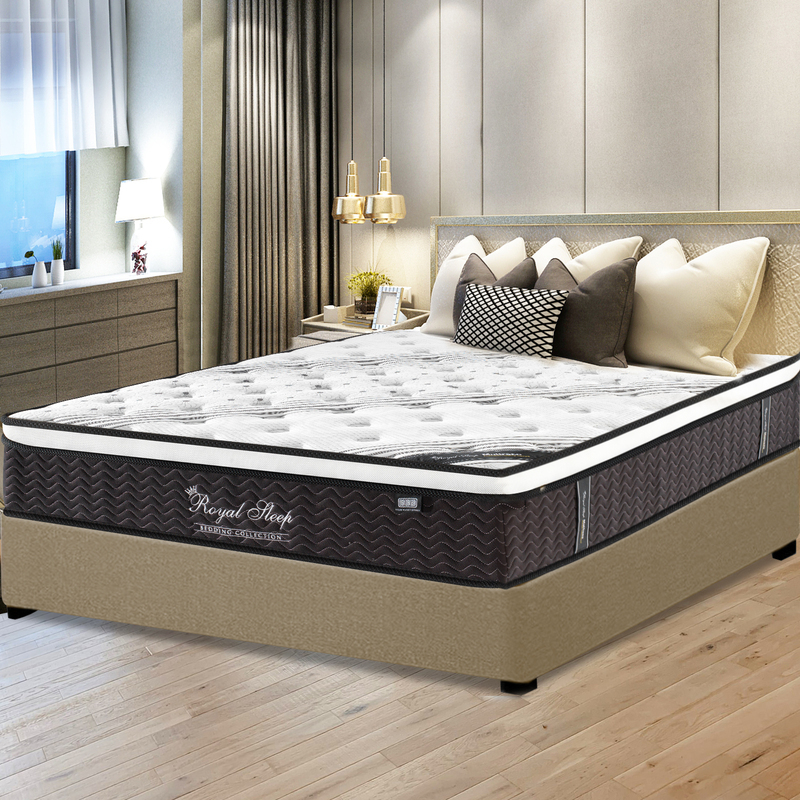 The Royal Sleep mattress has an incredible chiropractic 9-zone pocket spring that will deliver nine different levels of support and evenly distribute your body weight. Give your back and neck the rest and support it needs. 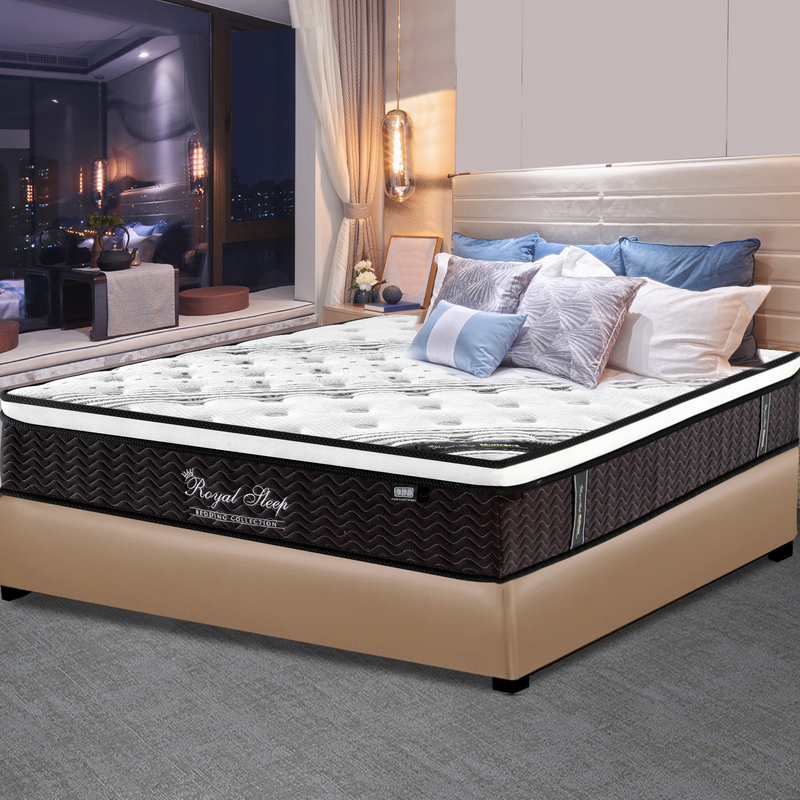 The Royal Sleep mattress now features a luxury plush Euro top padding for an irresistibly rich and silky feel. 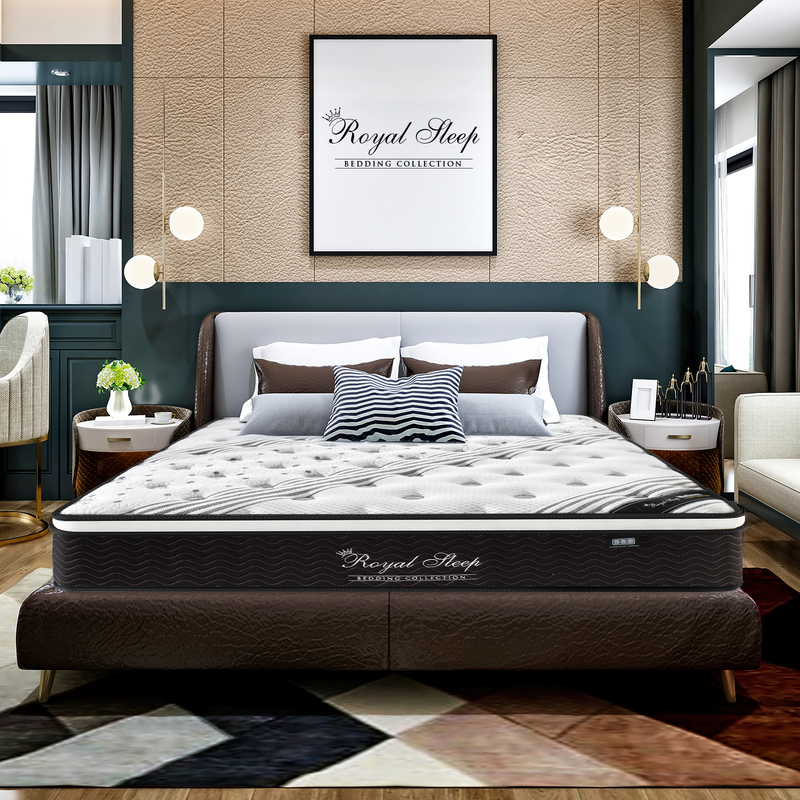 Your Royal Sleep mattress has a medium firmness combined with high-density memory foam to help position and support your neck and back perfectly. This will help you to get quality sleep so you can wake up refreshed and rejuvenated. 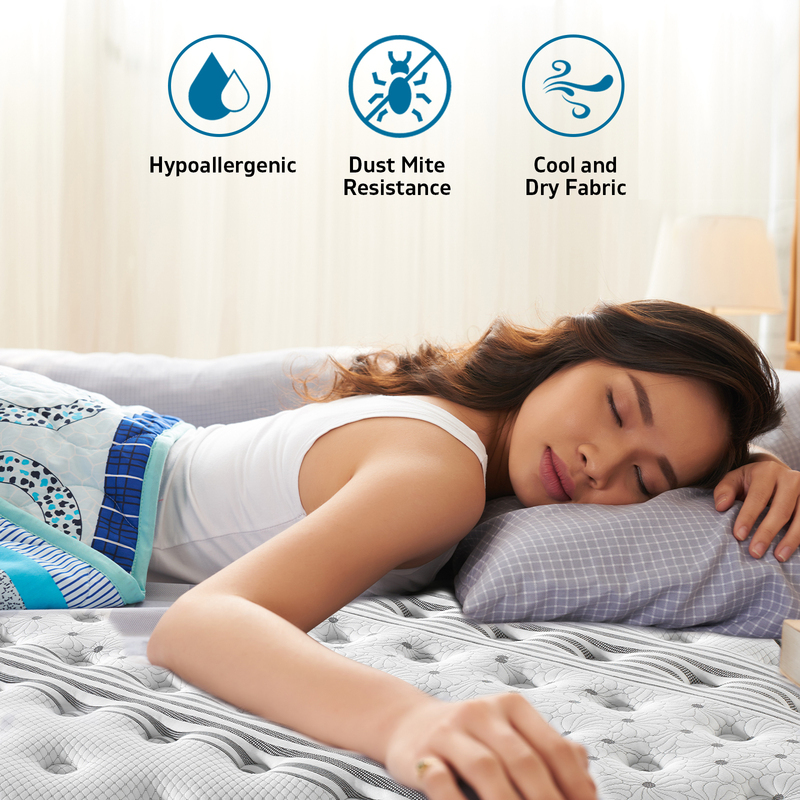 The Royal Sleep mattress is made from high-quality hypoallergenic materials and is 99% dust mite resistant to relieve hay fever and allergies. 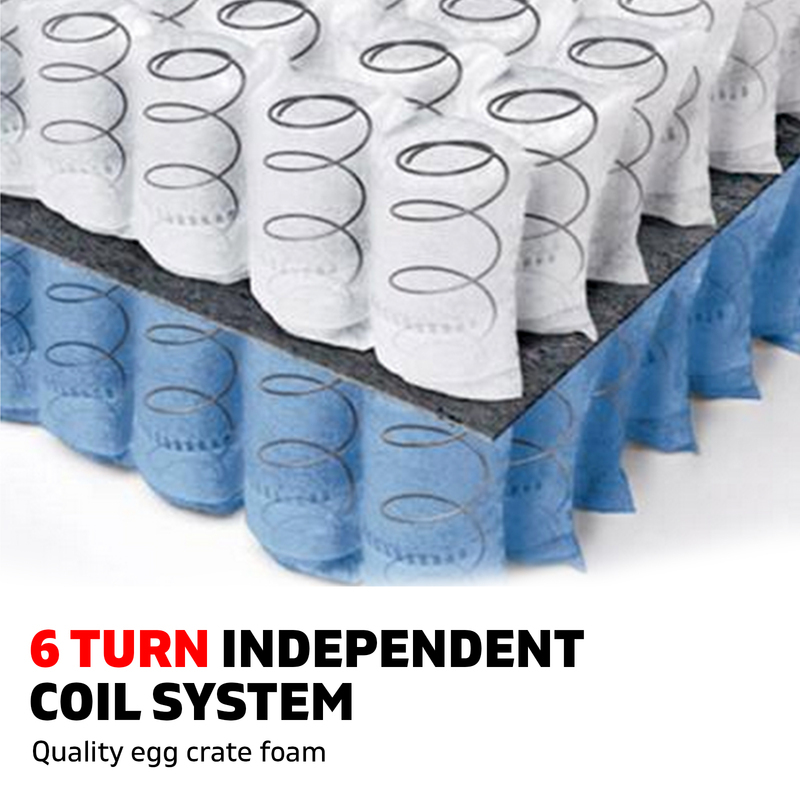 The 6-turn coil system features an independent coil system to absorb your partner’s sleeping movements and help you get quality sleep. 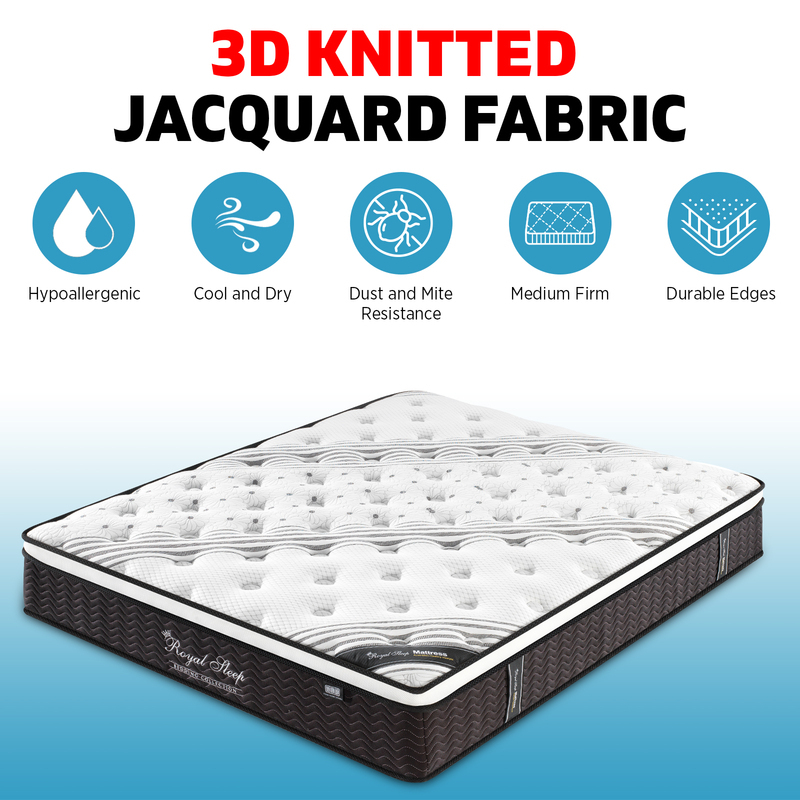 The luxury breathable 380g top with 3D knitted jacquard fabric helps to keep the mattress cool and dry. 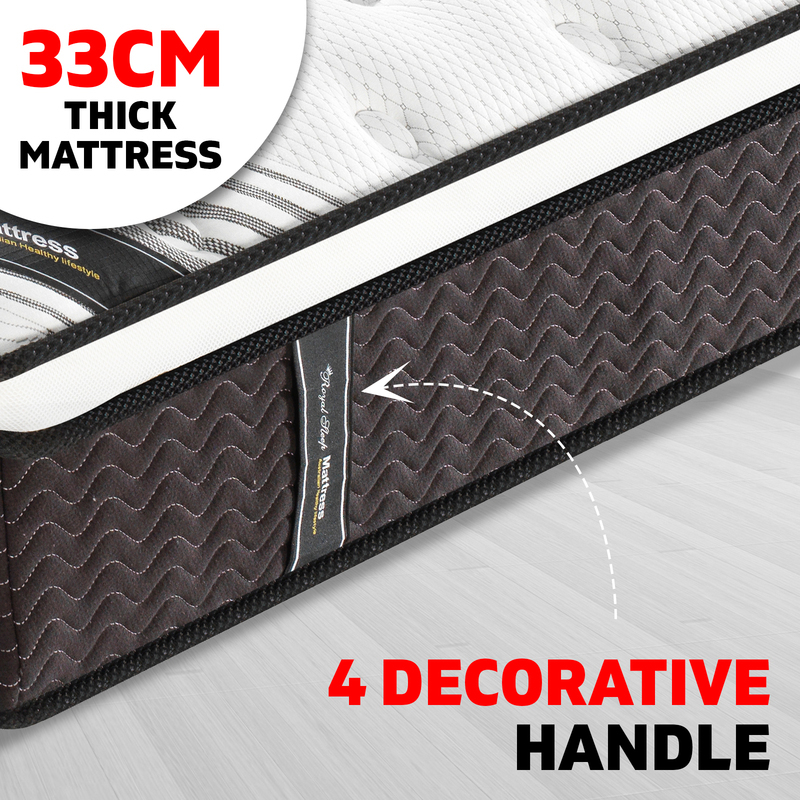 Your Royal Sleep mattress now comes standard with 4 decorated handles that allow you to position your mattress easily. Your Royal Sleep package includes one free pillow and if you order a queen or king size mattress, we will throw in two free pillows! 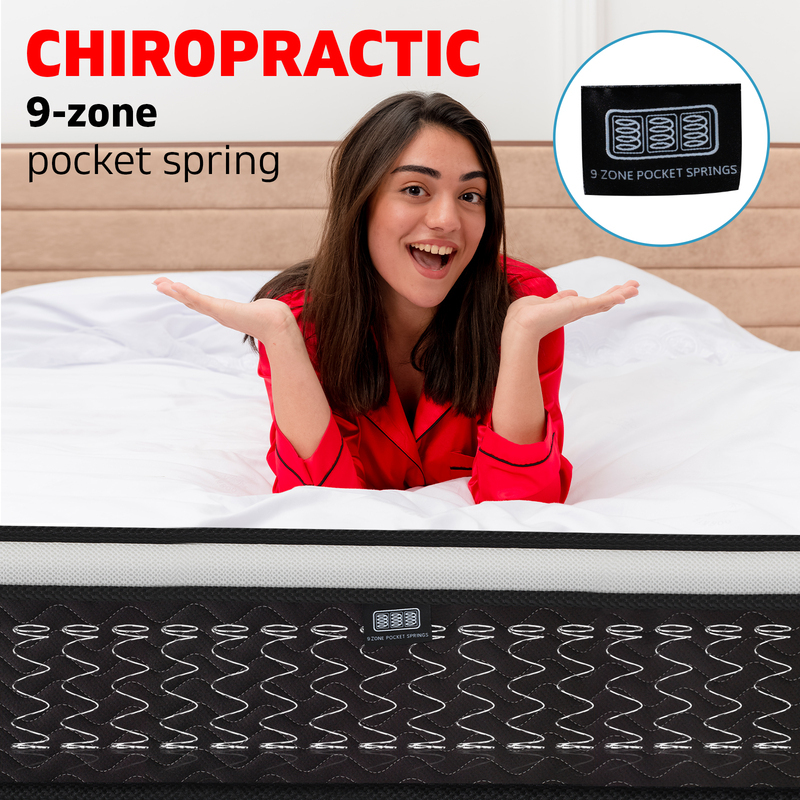 We are the only seller of the 9-zone pocket spring mattress and we offer five different sizes with varying amounts of coil to each size: single (406), king single (496), double (609), queen (713) and king size (868). The high tech vacuum packaging technology allows for easy transport and handling. 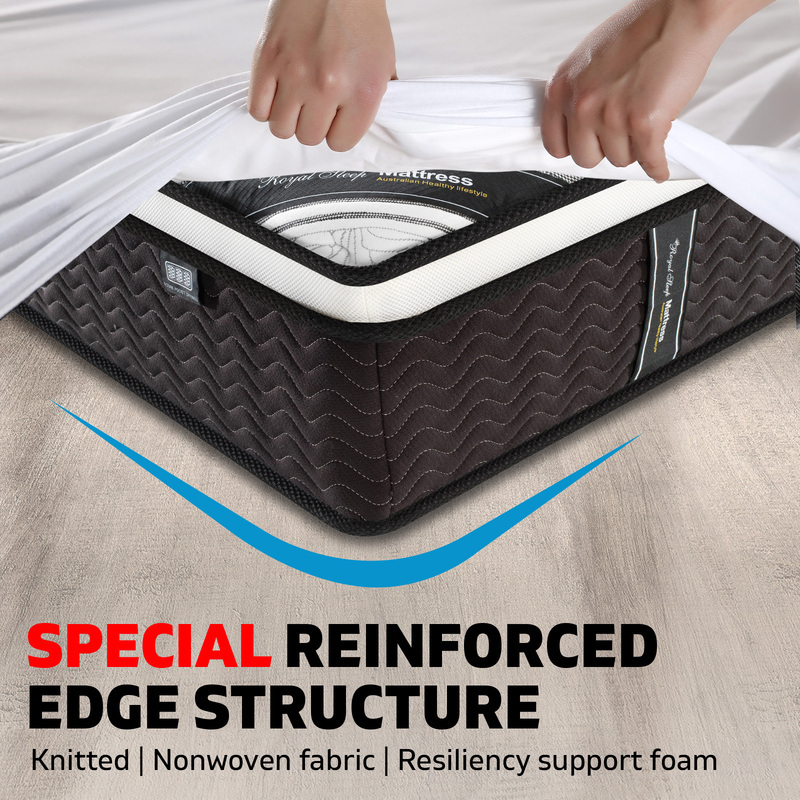 If you suffer from back and neck ache or injury this is the mattress you have been looking for. Transform the way you sleep today! Very happy with this purchase. 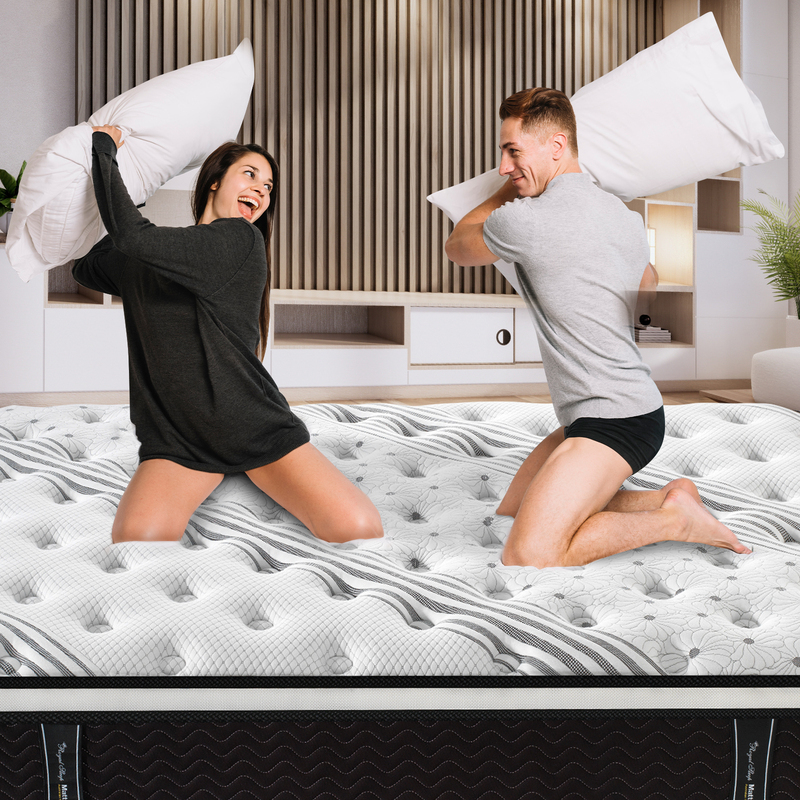 Fun watching the mattress pop open! It is the second one purchased here. Happy about the quick delivery and quality. Beautiful, was a bit sceptic about the purchase but there was nothing to worry about. The bed is amazing quality with the low price. Highly recommend. Really good for price. Easy to handle and set. Wish other firmness levels also available. I have a really nice bed, however, the mattress was a little too hard for me I saw this mattress advertised online and thought the price to be extremely reasonable and definitely worth a try. I am more than happy with this mattress and so glad I took the leap and bought it. I would highly recommend this mattress to anyone looking to upgrade. Arrived in a week and is as described. Happy with our purchase.